Vincent breaks out with his first new tech release since moving to Vodacom, it’s a location-based mobile phone accessible documentary on Soweto in South Africa. 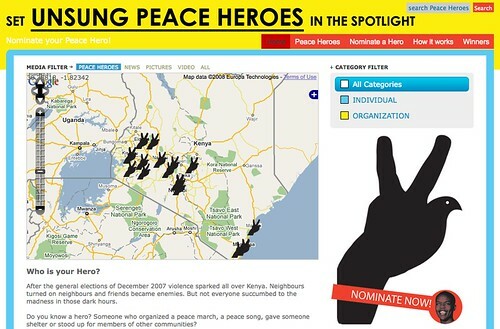 The Ushahidi Engine is being used to run a new non-disaster related site called Peace Heroes, which hopes to highlight ordinary Kenyans who did extraordinary things to promote peace during and after the post-election crisis earlier this year. The O3b Network is offering it’s first bundle. “Quick Start Africa” is a, Carrier Managed Service designed for Telcos and ISPs on the African continent who need a high capacity, ultra low latency, carrier class IP trunking solution. Niti Bhan talked about this at the Better World by Design conference. Breaking down why life is so difficult for the poorest people in the world and what can be done when trying to address these issues. Jon Gosier of Appfrica.net is heading up a Facebook Garage in Kampala on December 13. It’s a great chance for programmers to get out and get comfortable with the Facebook platform, and also to meet some of the devs. Get more info at the Facebook event page, and the Appfrica wiki. Mobile finance – indigenous, ingenious, or both? 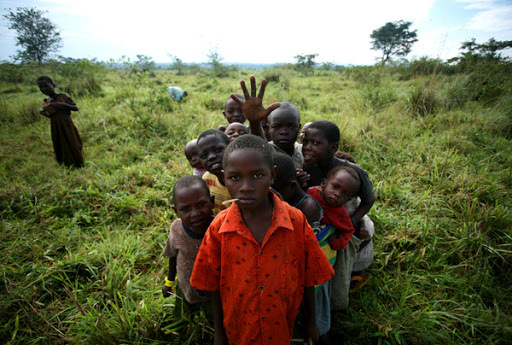 Glenna Gordon writes a blog out of Uganda called Scarlett Lion, besides great insights, she also has some of the most amazing photography I’ve seen from there in a while. Check out here professional website to see more.